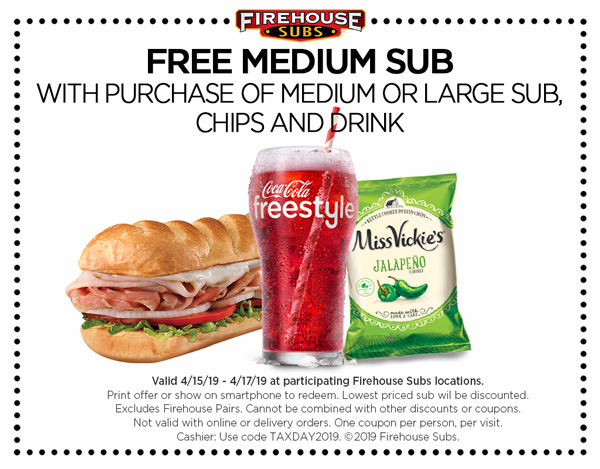 Schlotzsky’s: On Monday you can get a free small original sandwich with purchase of chips and a medium drink Tax Day. These tickets are valid for opening weekend only — that’s Saturday, April 13th and Sunday, April 14th. The deal is valid both online and at the gate. If you buy online, you must either print the tickets or have them available for scanning on a mobile phone (note that cell reception is spotty at the festival). Get the BOGO deal here.